In one of our previous blogs, we discussed simple, DIY projects that can improve the energy efficiency of your home. We’ll expand on that topic here, with some more ways to keep your energy bills low and your home comfortable. Use your windows to your advantage. The average temperature of the surface of the sun is around 6,000 kelvins, or 10,340 degrees fahrenheit, and rays of sunlight travel around 186,282 miles per second (remarkably, that’s the speed of light). That’s a fair amount of heat travelling wicked fast—right toward your home. Take advantage of mother nature’s greatest gift, and open your curtains during the sunnier hours of the day. It’s a great way to warm up your home without turning on your heater. Similarly, closing your curtains on a hot, sunny day will keep things much cooler, so you can turn the temperature on your AC up a few degrees without feeling like you’re baking in a hot car with the windows up and save yourself a few bucks on your energy bill. Seal up any interior or exterior gaps. Tiny gaps in your home’s interior or exterior allow your hard-earned air to seep out of your house, making your AC unit work harder to meet your temperature requirements. Sealing up these gaps with spray foam insulation, or caulking tiny gaps around doors or windows can remedy this problem, and can also reduce the number of insects that enter your home. Doors are a very common area where air seepage occurs as well. If you can see daylight beneath your door, you’re letting air out and bugs in. Replace the bottom seal of your door with a newer, draft-preventing model. It’ll run you about 10 or 15 bucks, but it’ll pay for itself when you receive your energy bill. Turn your thermometer up (or down) a few degrees. If your AC unit is churning in the high 50-degree range during the summer, or you’re pushing your heater to the max during the winter, chances are that your energy bill reflects your extreme temperature preferences. Turning your thermostat up just a few degrees in the summer and down a few degrees in the winter won’t do much to change how hot or cold you already are, but it will shave a noticeable amount of money off of your energy bill. While you might enjoy the feeling of icicles forming in your nose in the middle of July, save yourself some money and turn your thermostat to a more reasonable temperature. Ask the professionals for help! High energy bills could be caused by a number of culprits, many of which are difficult to detect with an untrained eye. If you’re unsure where to start to make your home energy efficient, turn to the professionals for help. 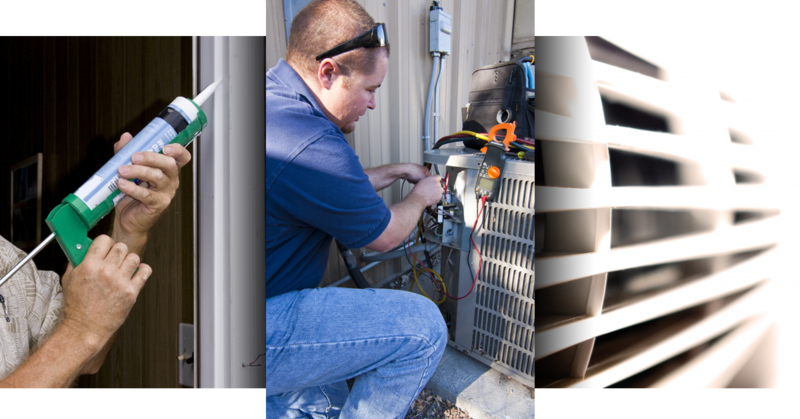 At All Air Heating & Cooling Services, we have decades of collective experience with heating and cooling installation, service, and repair in the Fredericksburg area. If there’s a problem that’s making your home less energy efficient, chances are that we’ve seen the same problems a dozen times before. 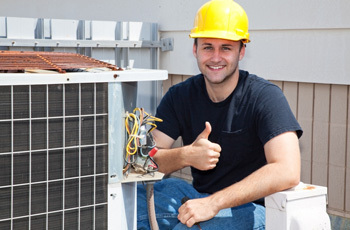 Trust the experts, and call All Air Heating and Cooling Services today!